Attempting to read the tea leaves and anticipate near-term market movement is nearly irresistible. Bold proclamations of just-around-the-corner seismic price movements reliably get a lot of attention, regardless of whether or not those making said predictions have been wrong about same a hundred times in a row. This is the frustration from which terrible investment decisions are born. The path of seeming least resistance and frustration can be to simply surrender to mass delusion, buy into a stock market at all-time overvalued levels, and hope it will continue to defy gravity, logic, all historical predent that says to expect -2.5% returns from the S&P 500 for the next 12 years, and incipient Fed QT selling, and levitate happily ever after to perpetual new highs. Being very, very right about a bubble’s collapse means allocating your investments in a way that makes it seem like you’re very, very wrong at first. There’s no way around it. Trying have your cake and eat it too, to ride the risk asset bubble to its exact peak before exiting at the very top and reallocating to gold and silver in an instant is to suggest you can predictably forecast the trajectory of mania. Nobody can. But you can recognize market gripped by it, divest from it, allocate elsewhere, and wait it out. If you analyze what gold will do as an asset class well, then you will do well with your investment. If you view gold from an emotional perspective or a perspective not based in fact, then it will likely hurt your investment returns over the longer term. Just remember how most of the market viewed gold back in 2011, and were certain that gold would rally over $2,000. Remember how, at that time, most thought that revisiting the $1,000 region was simply ridiculous? While I still maintain the expectation that we are on the cusp of a major multi-decade bull market in the metals market, I don't necessarily expect the world to end. 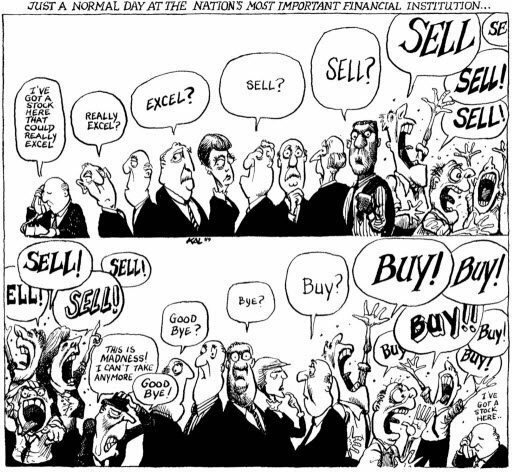 Nor do I buy into the common perspectives held by the overall market, as when most in the market believe something will happen, it rarely turns out that way. While I certainly see some very hard times setting up for our equity markets over the next 20 years, I don't see the stock market revisiting the lows seen in 2009, whereas I do see the metals market significantly higher in the coming decades.